Commissioned for Conjunction 08 by Airspace, Stoke-on-Trent. 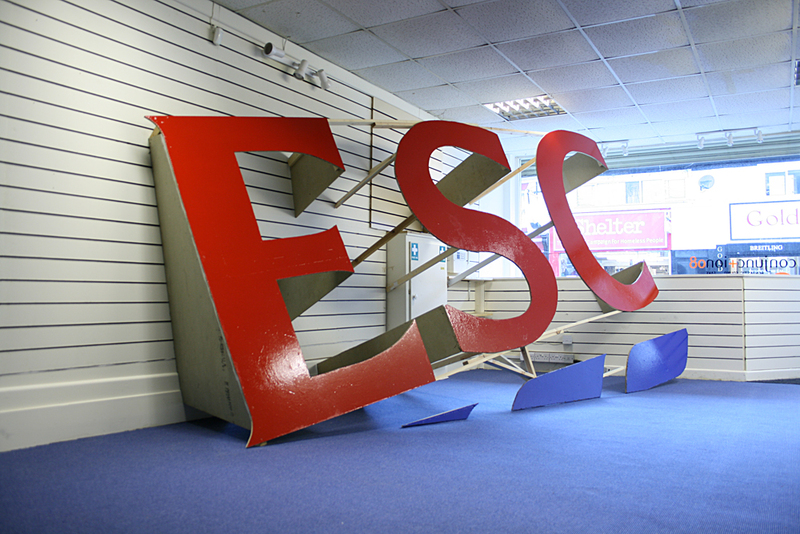 Escape was a response to the proposed building of Europe's largest Tesco. 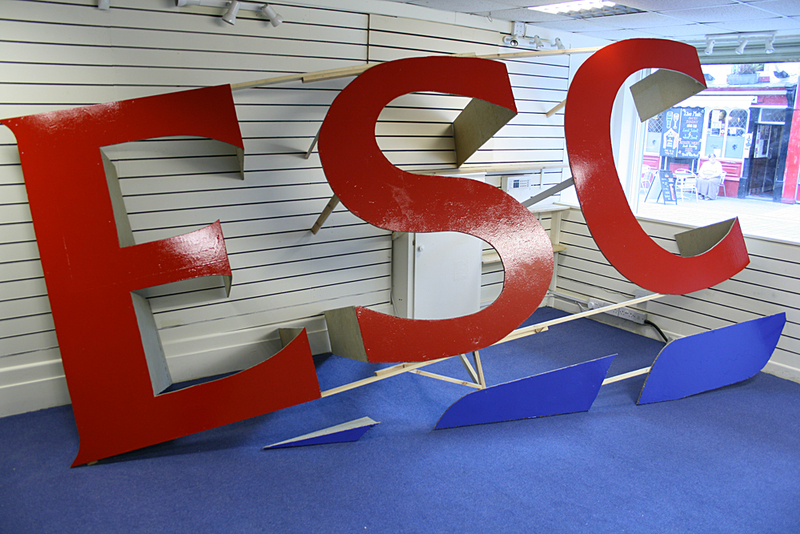 Rich built a giant Tesco sign from materials found on and around the building site. 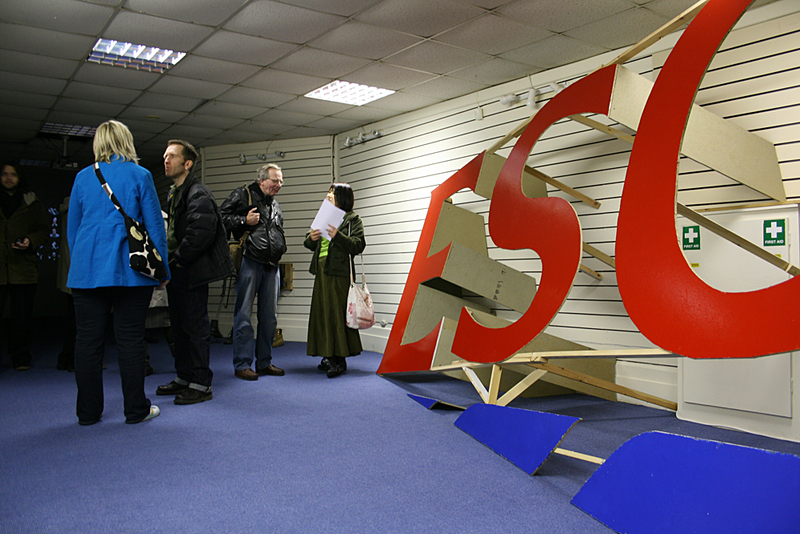 The sign was sited in a disused shop-space nearby. 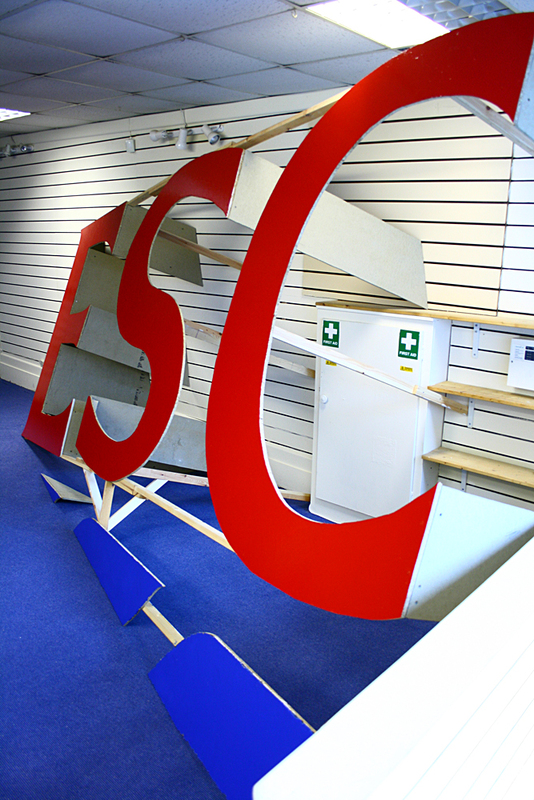 It appeared to have grown through the floor and wall, and was so big that only the letters 'ESC' from the middle of the word fitted into the space.